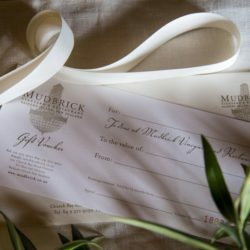 A Mudbrick gift voucher is an excellent way to say thank you to a friend or colleague and is a perfect gift idea for a Birthday, Christmas or Anniversary. 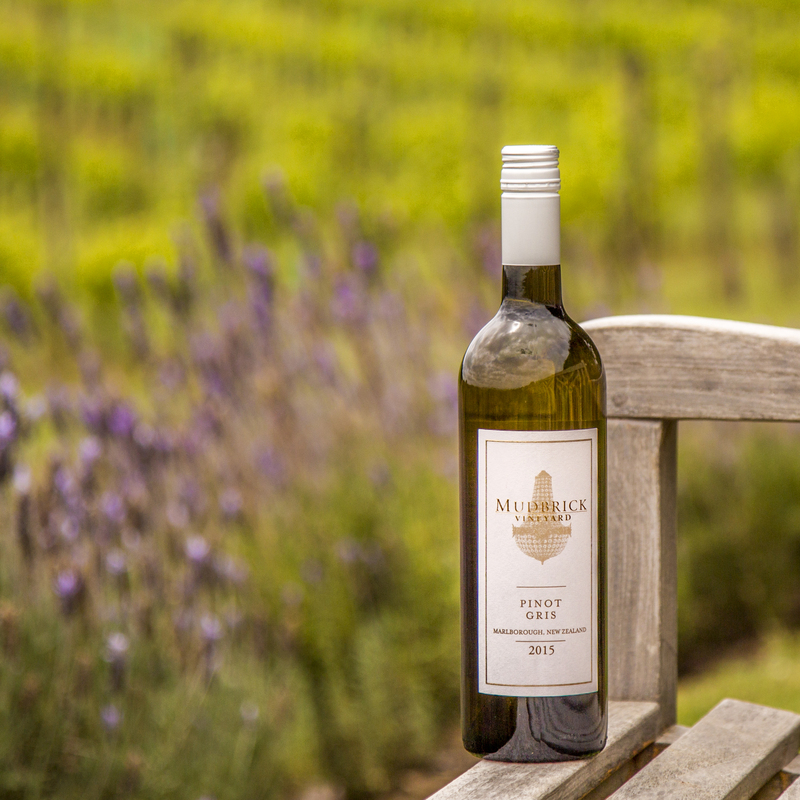 The voucher is valid for 12 months and can be redeemed on any day, lunch or dinner, even at our cellar shop or to use towards your stay at one of our accomodation properties. 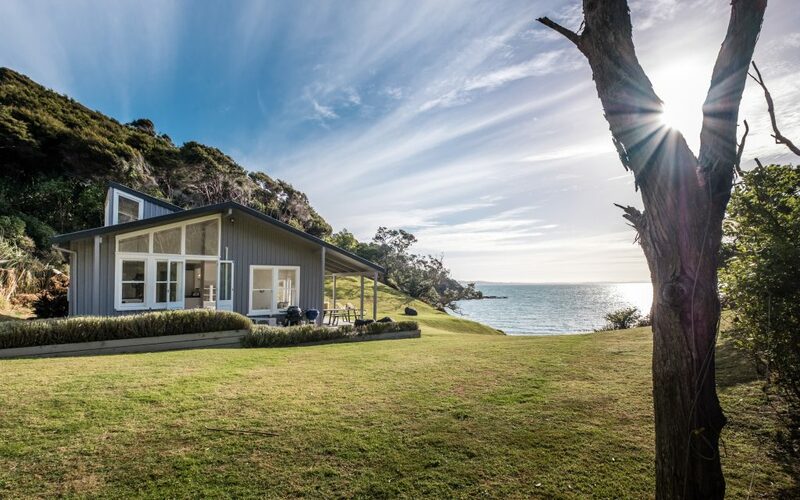 Purchase an instant online voucher that will be sent directly by email to the lucky recipient. Online vouchers are available in $25 increments up to $500. If you wish to purchase a personalised hand written voucher or a different amount please contact our office team directly for assistance. 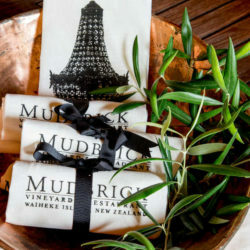 info@mudbrick.co.nz or 09 372 9050 Hard copy vouchers can be collected in person or sent via standard post and can take up to 10 working days for delivery. Please order this product separate from others to obtain free shipping. High quality Irish Linen, hand printed in Auckland. Fantastic for polishing wine glasses. 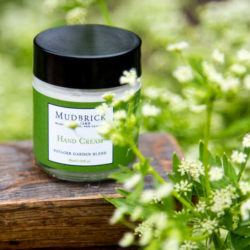 This hand cream is made from ingredients inspired by the Potager Gardens - Refreshing aromas of herbs and citrus. The blend includes Shea Butter, Aloe Vera, NZ Manuka Honey, Vitamin E and grape Seed Oil. The ingredients in this product are natural and of the highest quality. 30ml. Individually boxed wine soaps created using grape pulp from our Waiheke vineyards and New Zealand Manuka Honey. Box not shown. 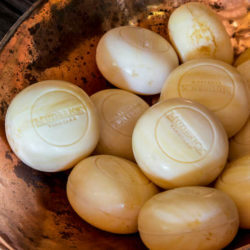 This soap has a beautiful aroma and silky smooth texture on the skin. A wonderful present for the wine enthusiast.